A kitchen floor in a pub. The Ox Noble pub, Manchester. 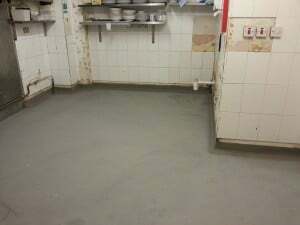 The kitchen in a city centre pub had a worn and damaged vinyul floor. 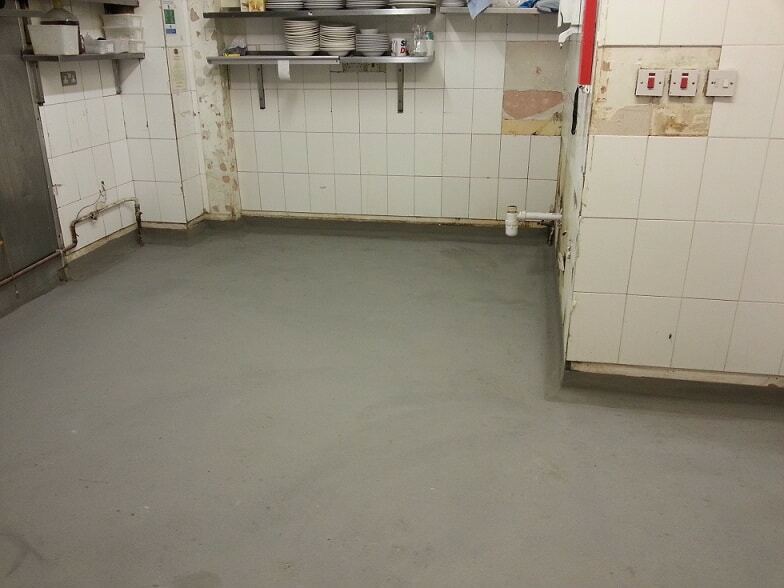 This was replaced with a heavy duty polyurethane screed and a coving was installed in the same material.